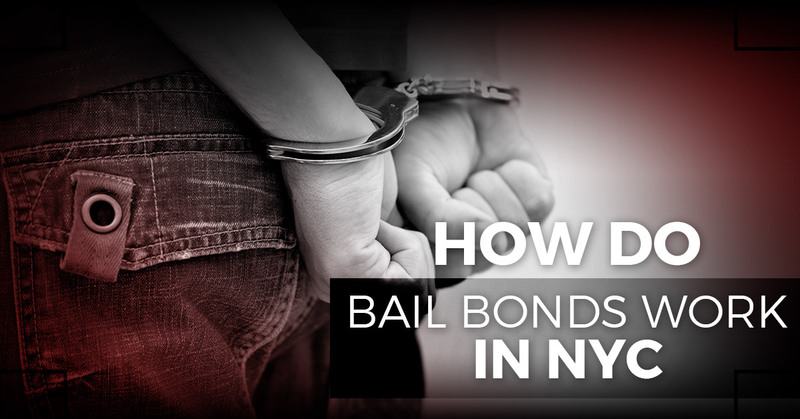 How Do Bail Bonds Work in NYC? Though we routinely hear about folks posting bail on a regular basis, the concept of it remains somewhat foreign. What does bail really mean and do? Why must the defendant return to court if they were already released on bail? In this blog post, we will try to provide some step-by-step clarification regarding bail bonds. Keep in mind that when someone is arrested, he or she will be taken to jail to begin what’s called the booking process. The person will have a mug shot taken, undergo fingerprints, and asked for a statement. Unless the suspect is released on bail (more on that in a moment), they must be held in jail while awaiting the day in court. Our bail bond company defines bail as a financial agreement made on behalf of the criminal defendant. Should you choose to come to ABC Bail Bonds, we will arrange with the court to have the suspect released from jail pending the trial in exchange for money or collateral. What qualifies as collateral? Well, it can be cash, assets, or a bond. It’s important to know that it’s the court that sets the monetary value of the bail, not the bail bonds agency itself. At this point, the bail bondsman is responsible for ensuring that the individual arrives in court on his or her day of trial. We will touch on this in a future post, but if the individual fails to appear in court, the bail bonds service may choose to hire a bounty hunter to track them down. For clarity purposes, a bond essentially guarantees that the full bail amount will be paid. You may find that some courts will accept either the full bond or a 10 percent cash down payment for the release of the suspect. In order to cover the cost of bail, a bondsman will take out a security against a defendant. It could be, however, that the defendant does not have enough assets on their own. That’s when a bail bonds service will take out securities of relatives and friends who are willing to help. Should the defendant not arrive in court on trial day, the bondsman has a right to sue the defendant for money given to the court for the purpose of the defendant’s bail bond. If you’re looking for fast, friendly, and confidential bail bond service, then it’s time to get in touch with our agency. Each of our bondsmen is licensed and experienced, bringing you the peace of mind you need during a tumultuous time. Rest assured that we are creative and flexible in terms of coming up with hard assets. ABC Bail Bonds accepts all major credit cards, checks, and offers easy payment plans. As a third generation business with over 50 years of experience, we’ve been there and done that in this industry. If you have any questions regarding the bail process, we are happy to help. Call us now for 24/7 assistance.